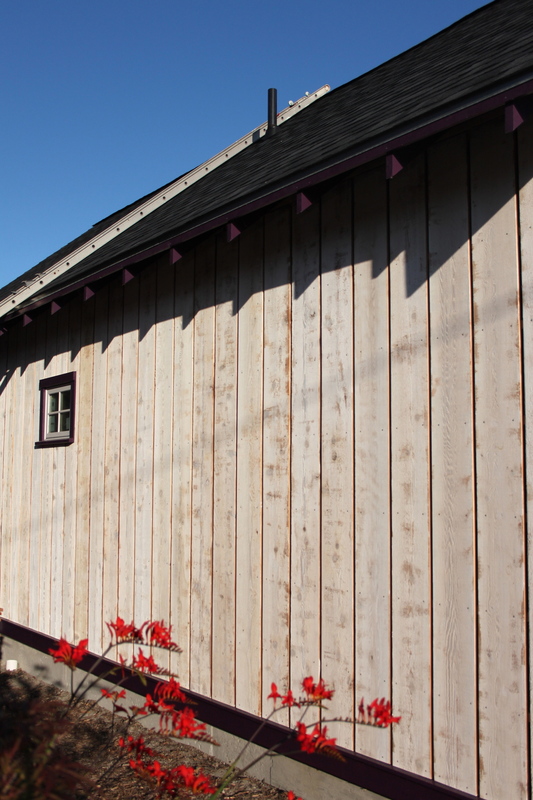 Today we hung the 1 x 10 board siding we primed - last autumn - on the north side of the house. We also built the first window casing and installed it as a single unit using pocket-hole joinery to preserve the integrity of the surround. It's also painted! At sunset, we're ready for dessert: garden picked blueberries, golden and red raspberries with a dollop of coconut cream, yum! Throughout the day a very happy hummingbird lent a helping hand (wing)!